President Jacob Zuma is trying to reassert his authority by bidding to wield greater control over state-owned companies after the ANC’s worst-ever electoral showing. The cabinet announced plans on Monday to set up a presidential committee chaired by Zuma that will directly oversee the strategies of South Africa’s 715 state entities, which supply about 90% of the country’s electricity, run railways and ports and operate the national airline. Right now, the national treasury and other ministries exercise political oversight over the companies. “This is not motivated by business principles but by the internal politics of the ANC,” Dirk Kotze, a politics professor at the University of South Africa, said by phone from Pretoria. The ANC lost control of key municipalities such as Pretoria and Johannesburg, the nation’s economic hub, in 3 August local elections in which it suffered its worst performance since Nelson Mandela led the party to power in 1994. Zuma has been battered by a series of scandals that along with a stagnating economy has alienated the ANC’s urban support base. Zuma has been at loggerheads with finance minister Pravin Gordhan over the management of South African Airways, the loss-making national carrier. Gordhan wants to replace the board, which is led by chairwoman Dudu Myeni, a former schoolteacher who also heads Zuma’s charitable foundation. Zuma has insisted that she retain her post. The presidency and treasury are working well together to resolve problems at SAA, Zuma’s office said in a statement. The new committee doesn’t necessarily mean that Zuma is enlarging his authority over state companies, Steven Friedman, director of the Centre for the Study of Democracy at the University of Johannesburg, said by phone. Jeff Radebe, a minister in the presidency, said the new panel that’s in the process of being set up would give Zuma direct insight into the state companies’ key decisions and is needed to ensure they helped develop the country. 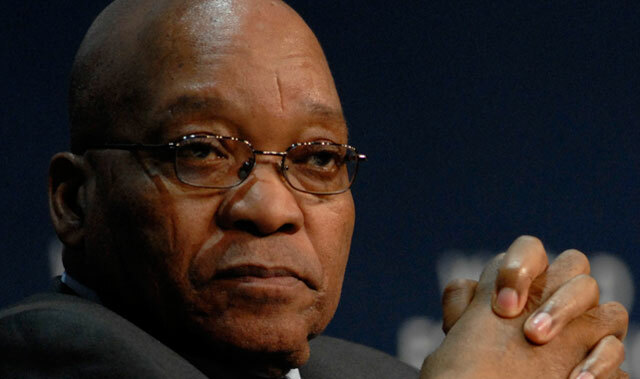 The main opposition, the Democratic Alliance, said Zuma has no mandate to intervene.